Joining millions across the globe, Steigenberger Hotel Business Bay will celebrate Earth Hour by switching off all non-essential lighting, sending out a powerful message about a brighter future for the planet. March 24 marks the 11th year of Earth Hour, the biggest environmental event of the year which celebrates and generates responsibility towards our natural world. 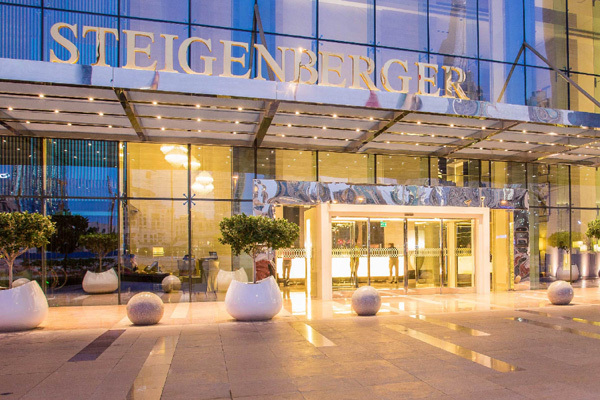 The symbolic act of switch off will happen between 8.30 pm to 9:30 pm where Steigenberger Hotel Business Bay will turn off the external signage and façade lighting as well as the shimmering lobby chandelier lights. The energy consumption per guest room is 0.628 KWH per hour, including television units and lighting. Switching these off for an hour would equal to the saving of energy used to produce approximately 14 gallons of water. At the entrance of every outlet, twinkling tea light candles will light up the pathway, in support of this grass root movement for action on climate change. All the hotel's outlets will run with candlelights and table LED lights for an hour. Adding a special touch, Swim & Tonic/ The Backyard will serve guests their special Flaming Cocktails at a special price of Dh65 ($17.6), to ignite the darkness. Members of the hotel team will also join the family-friendly walkathon hosted by Dewa (Dubai Electricity and Water Authority) at the Marasi Promenade, spreading the awareness of climate change. Earth Hour's iconic “60+” logo will be created entirely with tea light candles at The Backyard’s shisha lounge area, highlighting the significance of this global initiative for the next 60 minutes and beyond.